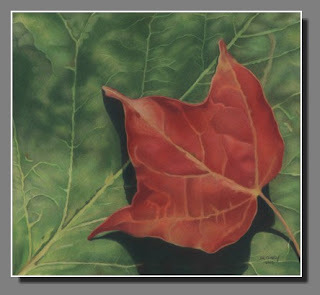 A juried colored pencil exhibition sponsored by the Colored Pencil Society of America District Chapter #104, featuring 100% colored pencil works of artists in Michigan. These are pictures taken at the reception on the April 10th. I’m standing next to my drawing called “Crossing the Elements.” It won 3rd place in the competition. I’m part of the Chelsea Painters, a group of 25 men and women who work in a variety of mediums. We meet weekly in Chelsea, Michigan, and are actively involved in art on local, regional, and national levels. We have an exhibit in the Gifts of Art series. One of my pieces in the show is Seasonal Compliments, done in colored pencil on sand paper. 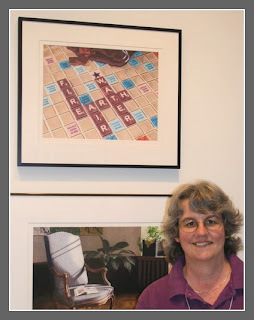 Gifts of Art Gallery – Taubman Health Center South Lobby, Floor 1. Exhibit runs through October 12, 2009. That’s me, standing underneath “Crossing the Elements.” It is such an honor to get accepted into this CPSA exhibit. I feel so blessed. This show is getting more difficult all the time. This year there were nearly 700 pieces entered with only 122 chosen. During one evening of the convention, we watched a slide show of all the entries. There was so much amazing artwork; the choosing process must have been mind boggling. 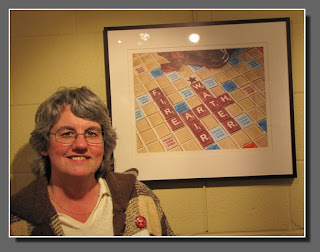 There was a five day convention that ended with an artist reception at the gallery in Duluth. We had workshops, meetings, a banquet and lots of interaction and getting to know other artists. Very fun time. I plan on going to another one. Thanks for reading. Have a grand day!